The TiltNRoll® features a special balanced design that allows it to tilt easily to the rolling position when pulled toward the user. the user is not required to extend a foot to assist in tilting the ladder to the rolling position. Once tilted, the ladder can be easily moved from job to job on the two 4" diameter wheels. 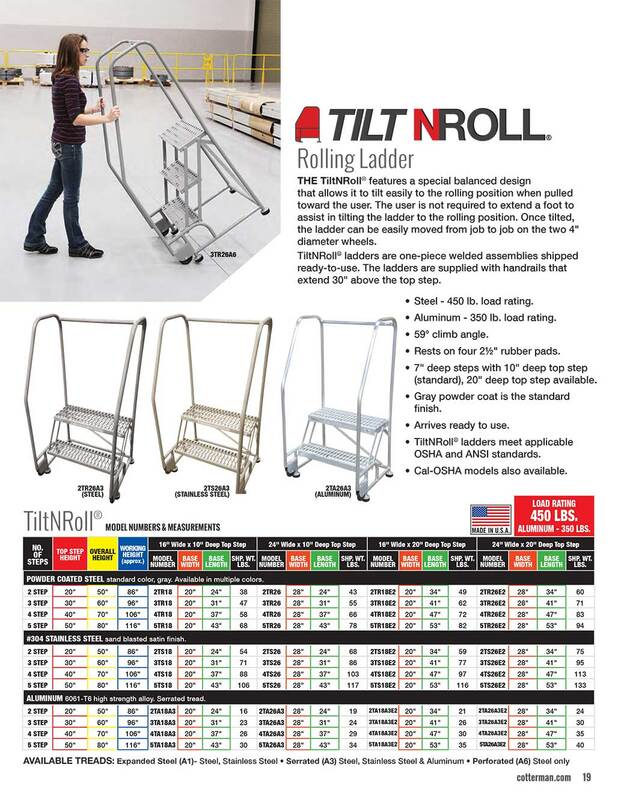 TiltNRoll® ladders are one-piece welded assemblies shipped ready-to-use. The ladders are supplied with handrails that extend 30" above the top step. This 2 step stainless steel TiltNRoll® ladder has a width of 26". This ladder features A1 Expanded Metal Tread steps and a 20" deep top step.